At Backlund Law Firm, PLLC, in Seattle, we're on your side even when your employer is not. We consider it our goal to help strong individuals like you protect their rights against malicious, or often just ignorant, employers. We accomplish this goal by arming you with all the powers that the law has provided and pulling you up on an equal footing with your employer. We are vigorous advocates for the rights of employees like you across Washington. Whether you are a victim of discrimination, harassment, failure to accommodate, wrongful termination, unpaid wages, or other injustices, you can rely on us for the strong representation you deserve. 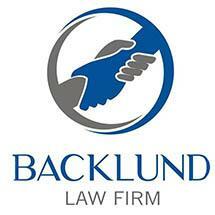 Our founding attorney, Andy Backlund, has been licensed to practice law since 2000. He is a savvy litigator who leverages his past experience defending Fortune 500 companies to better protect the rights of individual employees. He is also committed to providing personal, responsive service from day one until the final resolution of your case. In addition to operating Backlund Law Firm, PLLC, Mr. Backlund owns Emerald City Attorney Network, PLLC. He has also volunteered with Disability Rights Washington, where his contributions were featured on TV and in various newspapers. Request a free case evaluation about your potential employment law case by contacting our Seattle office today. Evening and weekend appointments are available by request. Plus, because we work on a contingency fee basis, we only get paid if you get paid. Please give us a call today. You may not be aware of deadlines that could defeat your case before it ever gets started. There is no risk to you to make this call, and it is always a good idea to get free information.